Sometimes, a little competitive banter goes a long way—especially when the Royal Family and Obamas are involved. To promote the upcoming Invictus Games, both famous families came together through the magic of social media to raise awareness with a generous helping of friendly banter. It all started with The First Lady, Michelle Obama, who took to Twitter to throw out the first shot (er, tweet) at none other than Prince Harry. Fortunately—or unfortunately—for The First Lady, Prince Harry had a special guest with him while viewing the video. Check out his humorous response, which was sent out two hours after The First Lady’s tweet. Not to be outdone by his American and British counterparts, Canada’s Prime Minister Justin Trudeau jumped into the banter by flexing some serious muscles to showcase that Canada’s athletes also mean business. 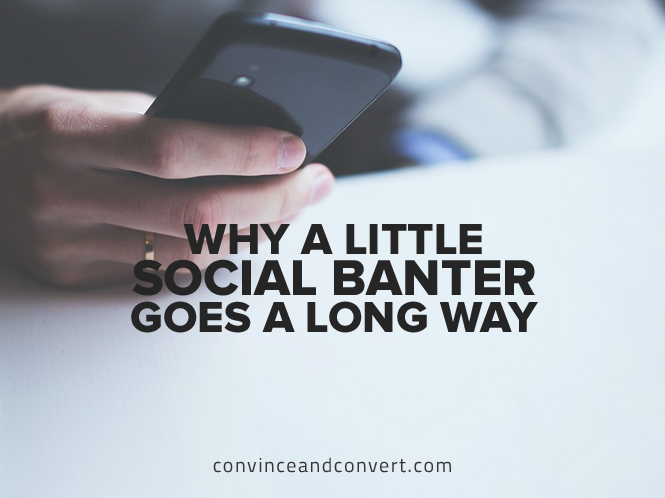 So, how can you bring a little #BOOM to your social engagement? Clearly, any video featuring The Royal Family and the Obamas has a proverbial leg up on the competition. However, what makes these videos shine is that they feel genuine. I don’t know about you, but this is how I imagine the real personalities of the Obamas and Prince Harry. They’re accomplishing amazing things, yet they still know how to have fun and not take themselves too seriously. Whether you’re dealing with celebrities or your CEO, this video is a great lesson to play to the strengths of an individual’s genuine personality. When individuals are featured, infusing energy and personality into video is critical and can make all the difference in terms of view length/drop off and shareability. Who doesn’t love a little good-natured competitive banter? The banter and friendly rivalry offers a good way to raise awareness and get fans excited for the upcoming Invictus Games. It also presents a good reminder of what we’ve seen from some brands, whether it’s Oreo and AMC Theaters or the funny but random Twitter “tea party” with Tesco Mobile, Yorkshire Tea, Jaffa Cakes, and Cadbury UK. The key? Being present and in the moment to seize these opportunities as they arise. This is where the right infrastructure (i.e., software) comes in, from getting alerts to unusual spikes in conversation and influencer or celebrity mentions—all so you don’t miss these opportunities. It’s also hugely important to stay true to your brand voice when proactively or reactively jumping in… which leads me to the next point. The moment Oreo nailed it with “Dunk in the Dark,” companies came out of the woodwork in droves to re-create the magic for themselves. However, to get to the level of Oreo, it takes strategy, planning, process, and even practice. So how do you get to that level? I’ve covered the strategy basics previously for Convince & Convert, but I would also encourage you to read this article from my co-author and Sprinklr colleague Ekaterina Walter, which delves deeply into real-time marketing for live events.